Imagine paying over 18% interest on a 30-year fixed mortgage. It’s almost unthinkable. But that was the reality for home buyers in October 1981 – a year when the average rate was almost 17%. Unlike today, in the early 1980s, the Federal Reserve was waging a war with inflation. In an effort to tame double-digit inflation, the central bank drove interest rates higher. As a result, mortgage rates topped out at 18.45%. In this Just Explain It, we’ll take a look at how mortgage rates affect home loan payments, and show you what you can do to save money. Back in the early 1980s, high interest rates had a negative effect on the housing market. Affordability dropped to an all-time low as rates climbed to record levels. Simply put, mortgage rates priced most Americans out of the market, and it took years for home sales to rebound. Today, rates are historically low for a number of reasons, thanks in large part to the Federal Reserve which has gone to great lengths to keep rates down to facilitate economic recovery. According to the Census Bureau, the average cost of a home in 1981 was $82,500. With an interest rate of 18.45%, buying a home was expensive. A monthly payment, after putting 20% down, would have been $1,019. That's the equivalent of $2,500 today, adjusting for inflation. And that doesn’t include property taxes, home insurance, etc. The average cost of a home today is $322,700. If the same 18.45% rate were applied - along with a 20% down payment - the monthly cost would be $3,986. The total payments after 30 years would be about $1.43 million, with roughly $1.18 million of that going towards interest alone. In both cases, 82% of your payments over 30 years would go towards interest. Today however, home buyers can lock in much better interest rates…somewhere between four and five percent. Monthly payments on that same $322,700 home would be $1,247 with total payments over the life of the loan equaling $449,075. Only about 43% of your total payments would now go to interest. Interest is important when it comes to calculating the total cost of that $322,700 house after 30 years. At 18.45%, the total interest payment would amount to over $900,000 more than a loan at today's rate. That's enough cash to buy an additional house. Even if rates edged up to 8.5%, interest alone would tack on about $305,000 to your purchase. Many potential buyers consider low interest rates a very important factor when it comes to purchasing a home. Predicting which way rates will go in the short or long term is difficult, so taking the current low rates for granted might be a mistake. Interest rates are historically low now, making it a great time to buy a home if you can afford it. 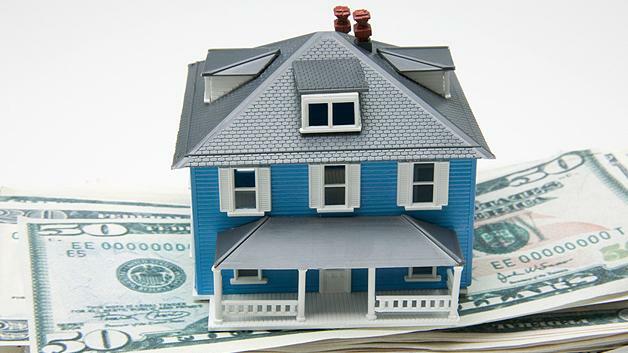 Here are some ways experts say buyers can save money on the life of their home loans. 1. Pay a little bit extra each month. It will lower the size of your principal and saving you money on future interest payments. 2. Buy a home now if you can afford to do so. The lower the rates, the less interest you'll pay overall. 3. Refinance now. A better deal might not come along. 4. Lock in a fixed-rate as opposed to an adjustable-rate mortgage. Fixed-rate loans are less risky right now. Did you learn something? Or, do you have a topic you’d like explained? Give us your feedback in the comments below or on Twitter using #JustExplainIt.